Established in memory of Denice Evelyn Marr, (January 18, 1966 – December 8, 2017) the intent of this fund is to award two scholarships annually to two qualifying grade 12 graduating students from SD #73 (one a graduate of SKSS) that are enrolled in a college or university program. Students must have a minimum B average and have the qualities Denice espoused in her teaching. Denice Marr was a seasoned and beloved high school educator. 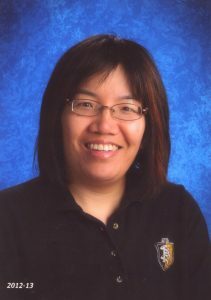 She taught at Barrier Secondary, Westsyde Secondary, Norkam Secondary, and South Kamloops Secondary School. Though she primarily taught Foods and Textiles, students and staff will remember her for her coaching and extra-curricular events that helped to bring character and cohesiveness to school life. Denice emphasized hard work, positive attitude, and community involvement (in and out of school) when she taught, the same attributes that she herself modelled throughout her life.